One of the reasons I decided to highlight GOptions with an extensive review is that this USA clients accepting binary options broker came out of nowhere recently and is literally taking over! The binary option broker has several features that make it unique compared to it’s competitors. GOptions is available with auto trading scripts and software like Binary Option Robot and has it’s own signal market place where binary option traders can find signal providers for their binary options trading. GOptions runs on SpotOption software but has added features and types of binary contracts that other binary brokers using the same software and trading platform don’t have. GOptions offers it’s binary option traders several types of binary options, including ones that other binary brokers don’t have. These are all the types of binary options available on GOptions: High/Low or classic binary options, Turbo options, Custom options, One Touch options, Ladder options and Pair options. The Custom options are quite similar to Option Builder options. For the ones of you that don’t know what Option builder is or people new to binary options trading in general, it’s a type of binary option where you as trader can fully customize it’s expiry rate, pay out, conditions etc. thus creating your own option, in this case called Custom option. Classic binary options don’t need any explanation, these are just options where the trader predicts whether they will be higher or lower in value at the moment of expiry. One Touch options are options with super high returns but slightly more difficult to be successful as traders have to predict what value the chosen asset will have at the moment of expiry rather than just higher/lower. Payouts on One Touch options do go as high as 500%, though. Ladder options are classic or high/low options but in a chain of several and the trader needs to predict the outcome higher/lower correct a few times a row in order to get paid out, the returns are massive up to 1250%. Pair options are a type of options where the trader chooses which one will perform better or worse within the expiry time, thus now not predicting higher or lower but option A or option B. The minimum investment amount on Turbo options which are are short term options with a expiry rate between 30 and 120 seconds is just $5. All other option types on GOptions require an investment of atleast $25. It is also possible to invest in long term options or futures on GOptions. These have an expiry time anywhere between one week and one year and pay out an average of 90% which is well above industry standard. 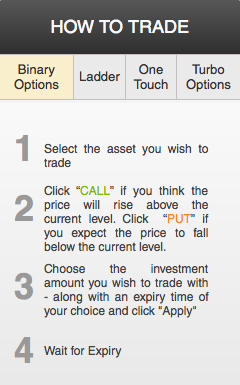 Long term binary options are a great way to invest in stocks and index trends. Binary option trading on GOptions is not just picking higher or lower or buy and sell. On GOptions binary option traders can fully customize their risk using risk-management tools or trading features like ‘Double Up, ‘Roll Over’ and ‘Buy me Out’. the ‘Double Up’ feature means you can double your investment on the option which is always a smart move if your trade is going well and is going to be successful, we all like more money and thus profits, don’t we? The ‘Buy me Out’ feature is useable in the exact opposite situation. If your trade is going bad and is not going to be successful, thus not paying out you can buy your self out giving you a small cashback or rebate of your investment so that you don’t lose the full amount of money invested. The ‘Roll Over’ feature is when you are not sure whether you are going to have a successful trade and extends the expiry time on the option at the cost of a few payout percents. GOptions has a welcome bonus for new binary option traders or traders that are considering a broker move over to GOptions. 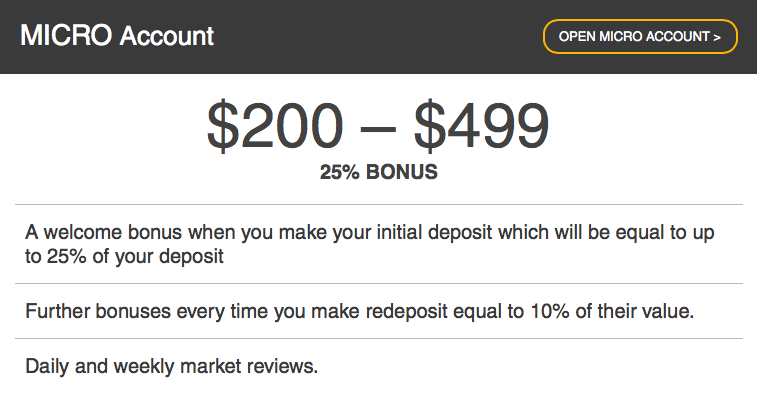 The welcome bonus upon initial deposit is between 30% and 100% depending on the height of the deposit. the GOptions customer service is available by email, phone and live chat. The live chat works perfect and average respond time is under a minute. Email takes a little bit longer but is still very fast replied on, within one hour. GOptions provides its clients with daily and weekly market analysis and educational material in the form of strategy articles and video series. One of the features that make GOptions a truly unique binary options broker as mentioned above is the binary options signal service marketplace. You can view the performance over the last 30 or 90 days of several auto binary option trading scripts and decide to attach one to your account yes or no. There are paid and free signal providers available and the choice is huge, over 60 different ones at the moment I am writing this GOptions review. You can also choose to not execute the trades provided by the auto trading scripts automatically but to receive an SMS or email alert instead. This can be a more safer way to follow trade signals provided. It is also possible to install third party auto trading software but one always have to be careful with these as most don’t work so well. Binary Option Robot is an exception on that, though. GOptions is fully compatible with Binary Option Robot, the leading binary option auto trading software. 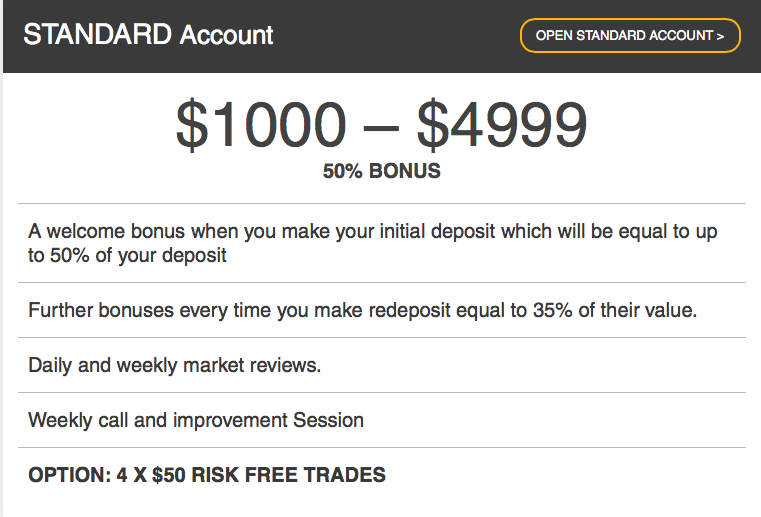 Read the full Binary Option Robot review here. As GOptions has so many binary option trading methods and types of contracts available and it accepts clients from the United States I already knew it was going to be one of best binary brokers reviewed and featured by choose broker.com but when I found out it was also compatible with auto trading scripts I realized that it might even the best one for USA binary option traders. 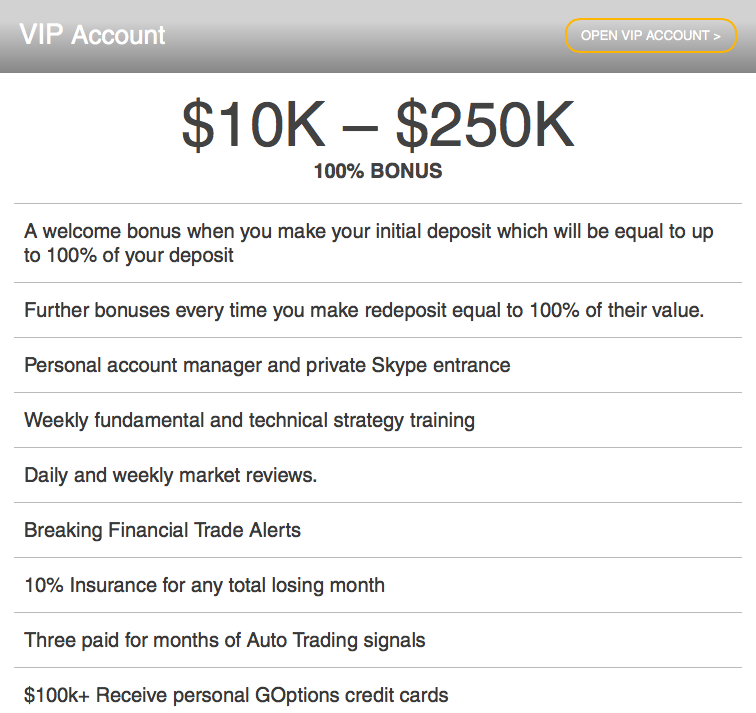 Also they have won a lot of rewards with their binary options trading platform. 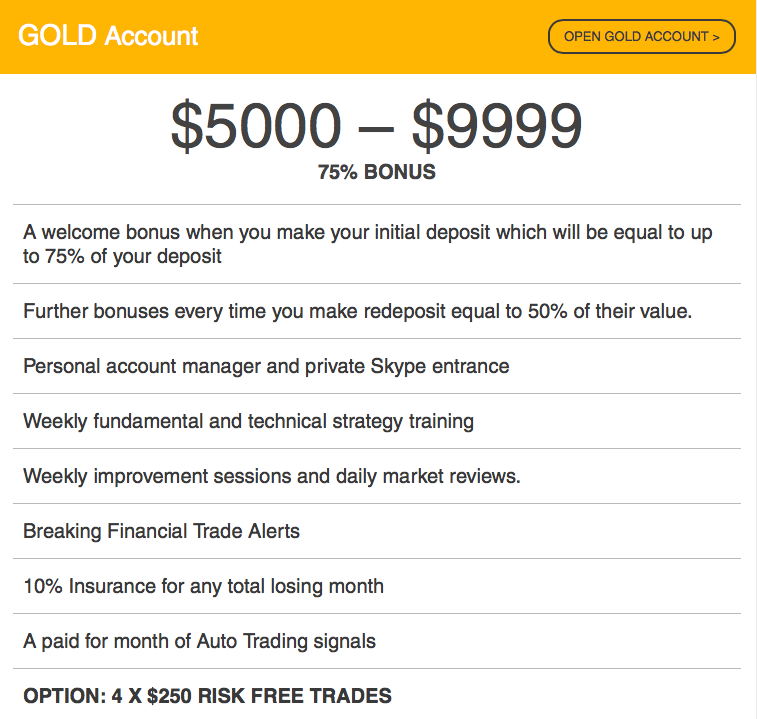 I couldn’t find any cons so far and I don’t see any reason why one wouldn’t sign up for a binary options trading account at GOptions, a definite 9/10 for non-US traders and a 10/10 for traders based in the United States.